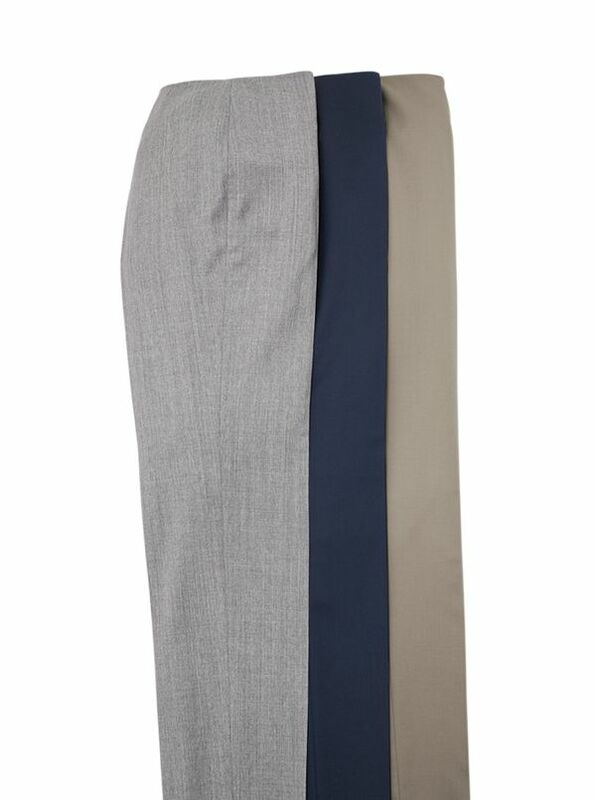 Lightweight Wool Gabardine Slacks by Bernard Zins in a new model with plain-front side zip tapered legs full-length. 100% wool. Imported.